The first edition of the Italian Brand Ambassador Award was held on Sunday, June 1st. The award ceremony recognized two leaders in the retail food sector whose vision, dedication, drive and passion have contributed to growing the Made in Italy Brand in the US consumer marketplace over the course of their careers. This year’s award will pay tribute to “Italy’s Liquid Gold” and celebrate the success of premium Italian Olive Oil in the US market in both qualitative and quantitative terms. The Italian Minister of Health, Beatrice Lorenzin and the Consul General of Italy, Natalia Quintavalle partook in the ceremony. 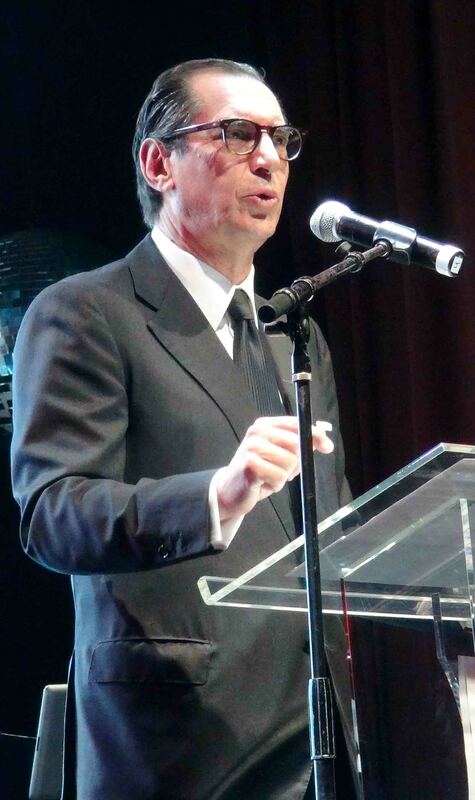 The first edition of the much anticipated Italian Brand Ambassador Award took place at the Highline Ballroom in New York. A jazz concert followed the awards ceremony featuring acclaimed Italian jazz talent Gianluca Pellerito and his quintet. This young talent is not new to the stage. He was the youngest musician in the world to play at the Blue Note at just age fourteen. Performances include eight seasons at Umbria Jazz, the 2012 London Olympics, an exhibition show for Mayor Bloomberg, and a performance upon invitation from the Kennedy family at the Kennedy to name a few. This evening celebrating Made in Italy was presented in collaboration with Emirates Airline, Colavita USA and Monini North America.